5. Dave Matthews Band Concert! "My shirt is a ghost"
Thanks so much for the support and votes everyone! #2 is my fav. :) Oooo and lovin' the new layout of the blog. Hope you're doing great Marie! 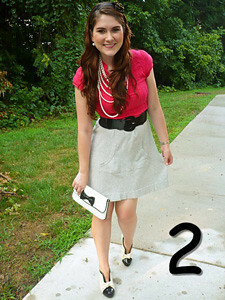 *Swing by to enter my Wendy Mink Jewelry Giveaway! 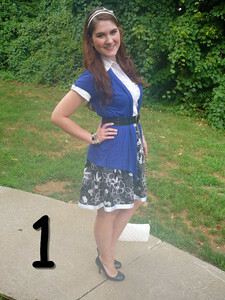 my favorite is #2, business casual to perfection! Traveling home for the summer... Yippieee! Sneak Peek: Cute sophisticated finds! "Let's be little kids on your birthday!" My Choice of Outfit of the Week - Very Boho chic! Bows here, bows there, bows everywhere! My shirt is a ghost! Under Pressure, but it's all good! Calendar: July is time for exciting summer fun!